Amy Powell is a Physical Therapist since 1998 and currently works full time in the school setting with pediatrics in Traverse City, Michigan. She obtained her Master’s Degree in Physical Therapy from Central Michigan University and is an adjunct faculty member for their DPT program. Amy continues to work in other clinical settings such as outpatient, rehabilitation and skilled nursing during school breaks. 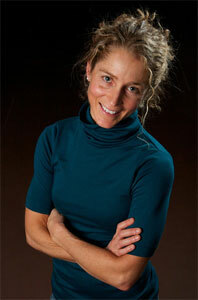 She recently joined the Kinesio Tape Association International staff as an instructor in 2014. She is the founder of Pow-Well, LLC, where she uses her CKTI (certified Kinesio Tape Instructor) skills to serve as an instructor, mentor, and consultant in multiple areas of Kinesio Taping practice. As a therapeutic professional in various settings, Amy is routinely called upon to treat a wide variety of conditions in pediatric, adult, and even veterinary patients. Although her certification and training is in human care, she has gained a good understanding through special animal cases of how the Kinesio Taping principals extend to the needs of veterinary clients. KTAI (Kinesio Taping Association International) upholds a high standard in the proper taping method and technique of kinesio taping. It offers training seminars for licensed medical professionals and a Certified Kinesio Taping Practitioner (CKTP) certification if the sequence of courses and exam are taken. 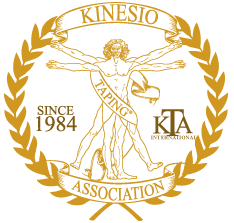 The CKTP certification acknowledges that the practitioner has been trained in the most effective treatment protocols, and has the credentials, integrity and commitment to practice kinesio taping at the highest level. Since the tape can be applied in so many ways, the CKTP utilizes his or her skill and expertise to make a sound assessment and determine the proper taping technique to be most effective in the individual protocol. ©2019 Pow-well LLC. All Rights Reserved. Photography by Joel R. Gaff, Jr.